Prior the invention of Segways, bored travelers jazzed up A to B mounting flying pigs, piling the family on to a magic carpet, and staging constant sponsored cartwheeling events. Get it on the balancing act with today's deal. 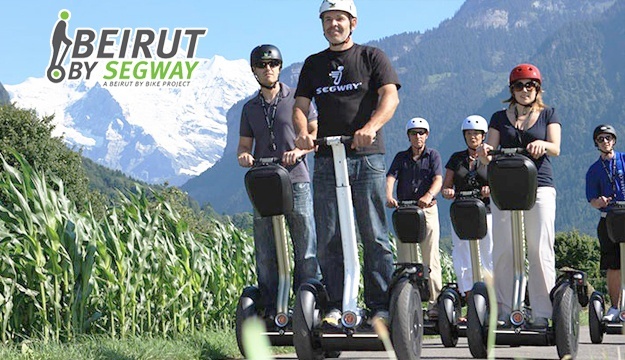 Beirut By Segway meet a high standard for providing their guests a safe and memorable experience. if you want to glide and want some fun try segway and you'll probably love it. 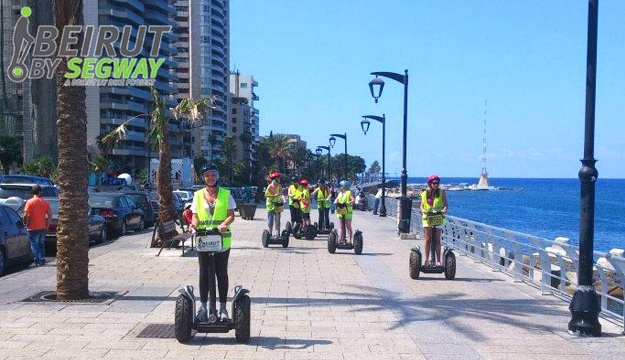 Beirut By Segway offers tours with the new x2, i2 and t3 machines. You can count on a great experience with our guide. Imagine cruising effortlessly through the beautiful Beirut sea-front and Down Town Beirut while receiving fantastic photo shots and superb personal service from your guide. 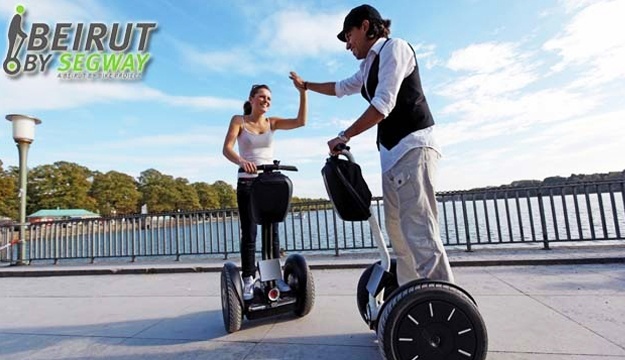 The Segway is the first of its kind-a self-balancing, personal transportation device that's designed to operate in any pedestrian environment. 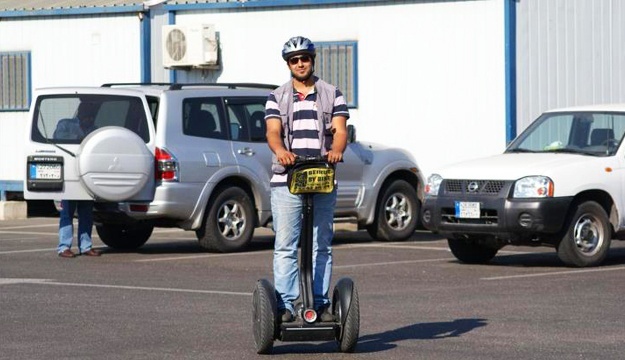 Whether you want to innovate, motivate or just entertain, having a Segway experience will provide a great way to boost productivity amongst your staff should you wish something inventive and diverse. If you're planning a quality conference venue, a workshop or boost camp or a combination you'll be left with a lasting impression along with a lot of Segway smiles! 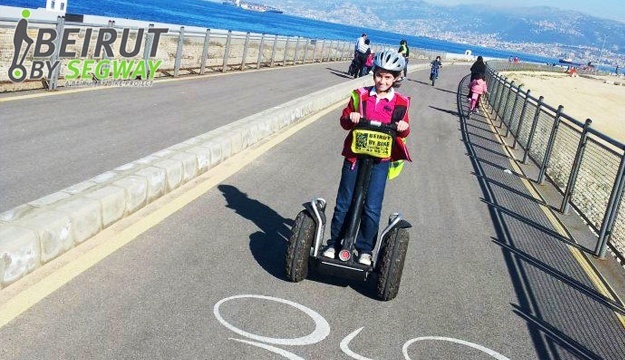 Beirut By Segway can provide a variety of bespoke packages for a wide variety of clients from small group sessions to full day events. 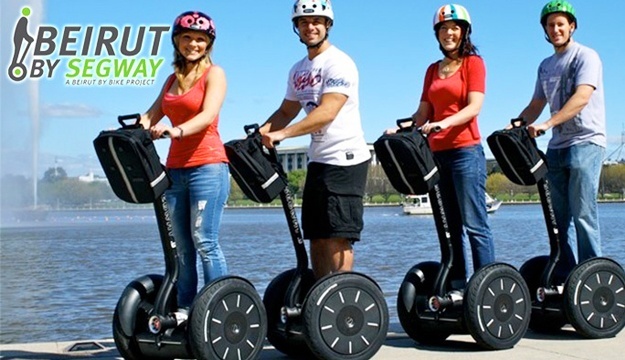 Location of your choice - we bring Segway Events to you! The Segway PT was known by the names Ginger and IT before it was unveiled. Ginger came out of the first product that used Kamen's balancing technology, the iBOT wheelchair. During development at the University of Plymouth, in conjunction with BAE Systems and Sumitomo Precision Products, the iBot was nicknamed Fred Upstairs (after Fred Astaire) because it can climb stairs: hence the name Ginger, after Astaire's regular film partner, Ginger Rogers, for a successor product. The invention, development, and financing of the Segway was the subject of a narrative nonfiction book, Code Name Ginger (in paperback as Reinventing the Wheel), by journalist Steve Kemper. The leak of information from that book led to rampant speculation about the "IT" device prior to release. The speculation created an unexpected advance buzz about the product that was, at times, hyperbolic. Steve Jobs was quoted as saying that, it was "as big a deal as the PC", though later sources quoted him as saying when first introduced to the product that its design "sucked". John Doerr speculated that it would be more important than the Internet. Articles were written in major publications speculating on it being a Stirling engine. South Park devoted an episode to making fun of the hype before the product was released. The product was unveiled 3 December 2001, in Bryant Park, the privately managed public park located in the New York City borough of Manhattan, on the ABC News morning program Good Morning America.